This might be news that you have seen somewhere before. I chanced upon a update on my Facebook feeds from a Creative Director friend of mine and he posted on his wall, an entry of the animal rights activists group, “Animal Equality”. 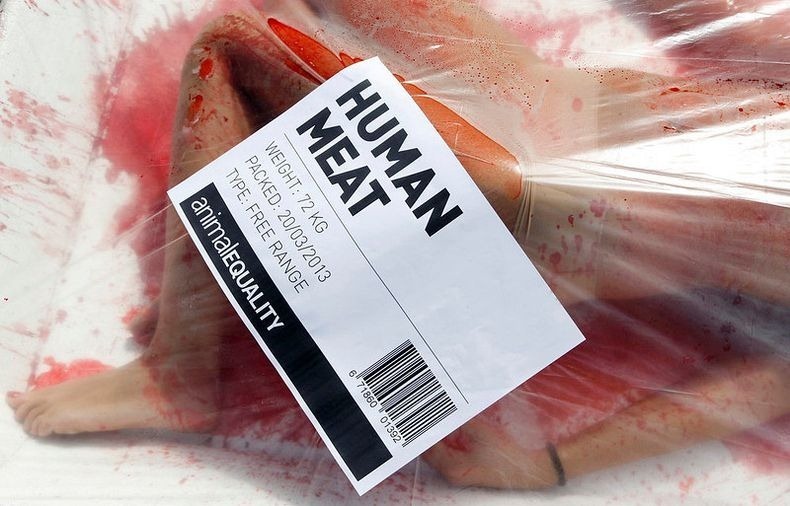 They had staged an outdoor demonstration in Barcelona, Spain somewhere earlier this year on March 20, 2013. 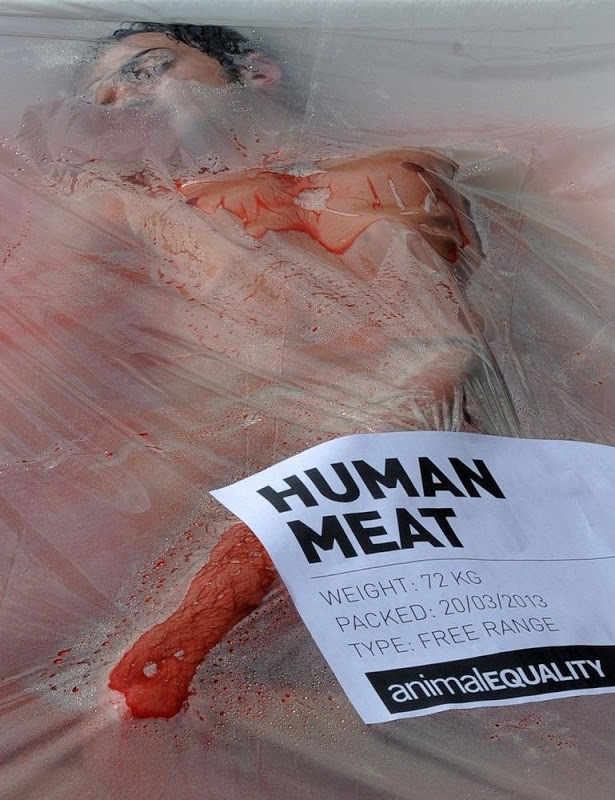 The event, “Day Without Meat” was right in front of the Cathedral of Barcelona whereby the demonstrators were ‘packed’ like raw meats that you would commonly see when you are shopping for raw meat in the supermarkets. 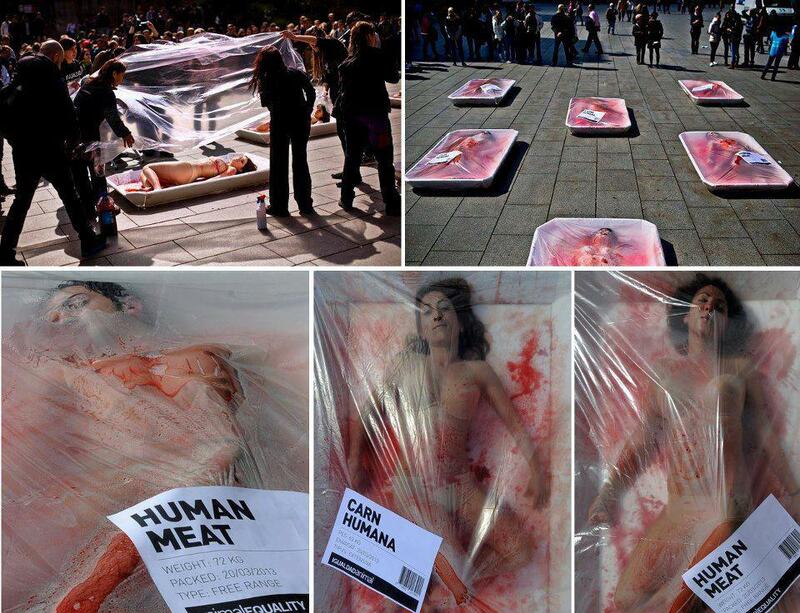 Covering human models with fake reddish blood and plastic sheets, it was extremely impactful and people had to stop to see it for themselves. With such an impact, it undeniably generated massive traffic to the installation site. The mission for ‘Animal Equality’ is ‘to achieve equal consideration and respect for animals, and the abolition of animal slavery’. 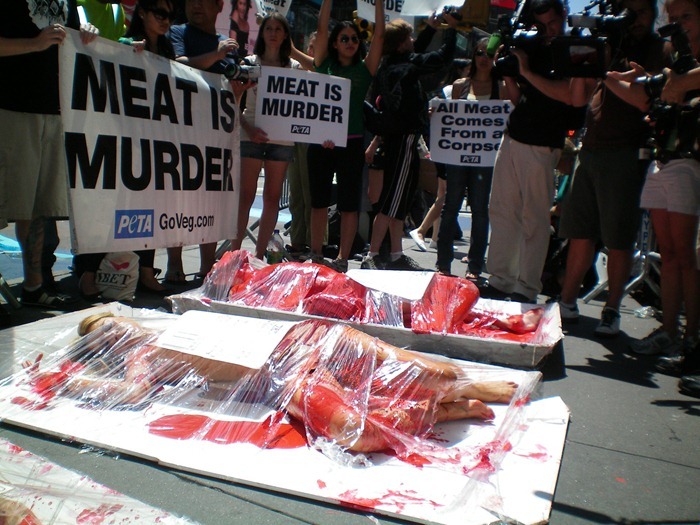 They are a very active and vocal group that is known to organize street demonstrations like these to promote more respect for animals. They are quite ‘hands on’ and have proven over the years to be taking action by rescuing pigs from slaughterhouses and raiding warehouses known to have held massive amounts of hens captive. Impressive work from Animal Equality. Impactful and effective.